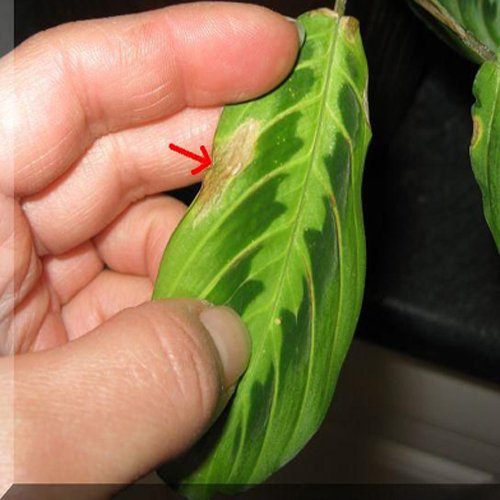 Houseplants & Bugs - UGH! Everyone who has ever keep indoor potted houseplants knows that many times they will attract bugs and it can become an constant battle. So much so that you just want to toss them out and start over every Spring. We'll here are a few tips that make the process of keeping your potted houseplants bug free from season to season. Potted houseplant go into a dormancy period during Winter which means during this time they are more likely to pick up a pest. They are weaker and more vulnerable. So use caution during this time of year and be extra aware. We recommend starting with clean flowerpots and new potting soil. Don't skimp on this initial stage it can make a big difference on your success later. Make sure your plants didn't bring home any bugs from the nursery or landscape center where purchased. Look on the underside of all leaves. Make sure to keep checking them occasionally so you can catch any issues early. If you do find an issue, then isolate the pot for a week or so till you make sure it's deal with. 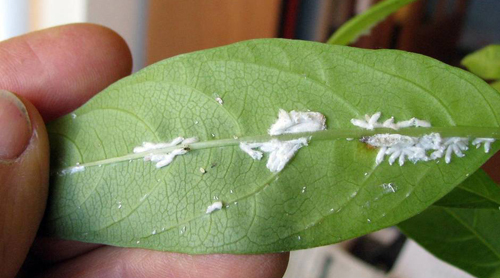 If you do find a pest issue then there are many things you can do from rinsing them off and then washing the leaves to purchasing a product at your local nursery and landscape center. The main thing to take away from this is to catch any issues early. Having lush potted houseplants indoors especially during the Winter months is easy to do if you apply a few of the suggestions above. Read more..... Let's pot succulents.